How about a trike ride? 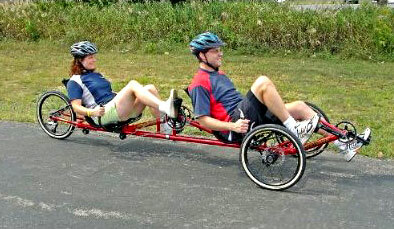 An adult trike ride. 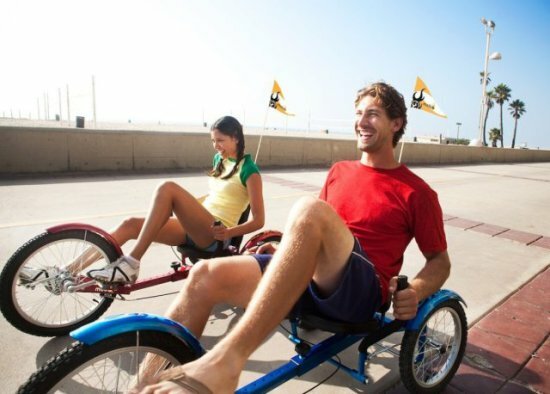 Trikes provide a more relaxing ride than bikes, and if you get a recumbent trike, it's less stressful on your joints and your back than a bike. Either way, the trike's the trip right now. Of course, like bicycles, trikes are available in all price ranges. 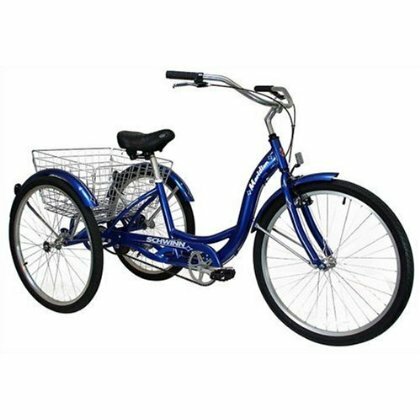 Here are a wide range of trike styles with price ranges from about $250 to $5000 for you to peruse. Remember your first bike? Mine just happened to be a Schwinn, so this one really hit me in the memory. Happy to see, though, that instead of training wheels, this one has two nice big balancing wheels in the rear. And guys, there's no bar on the trikes, so you don't have to worry about hitting yourself on it. In blue and black cherry (yum). You can find this bike on Amazon here. Reviews are high on this trike, which has an extra wide seat, suspension cushions, adjustable handlebars, and is foldable for travel! You can find this bike on Amazon here. 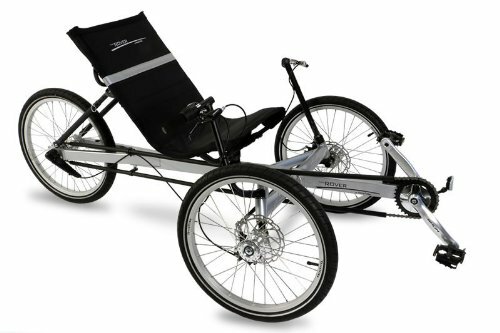 Here's a recumbent trike that is just made for exercise and fun. 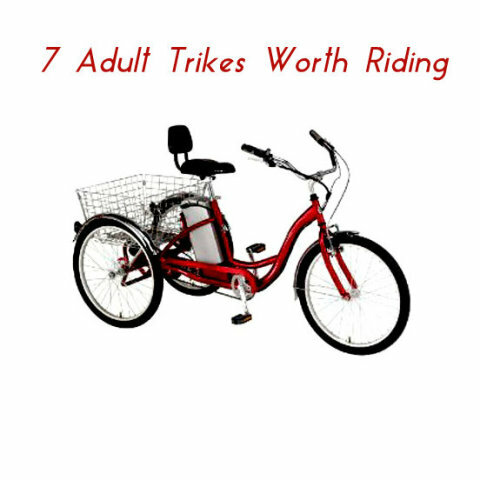 Made for adults, the trike accommodates persons up to 6"3" and 250 pounds. The Triton Pro Cruiser boasts a unique steering system, safety, and low maintenance. Also available in other colors. 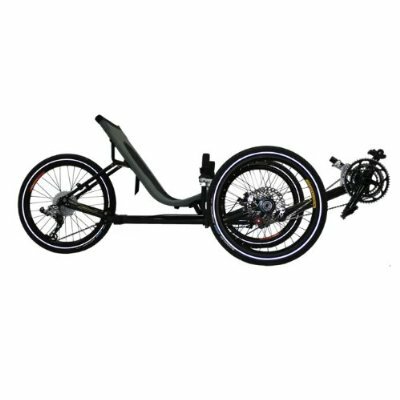 The Mobo Triton Pro is a popular and afforable recumbent trike designed of the casual rider looking for fun way to do some leisurely neighborhood cruising . It has sporty low, rugged chassis with a dual-joystick steering system and free-wheel mechanism for easy maneuverability. 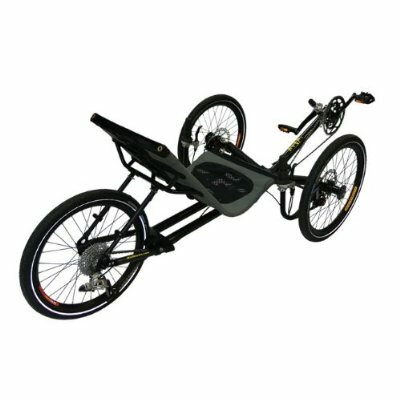 It is designed with an ergonomic recumbent seat to minimzie pressure on your back. If you use the bike on relatively flat roads for gentle riding, you should be happy with this trike. It gets rave reviews and can be purchased here on Amazon. 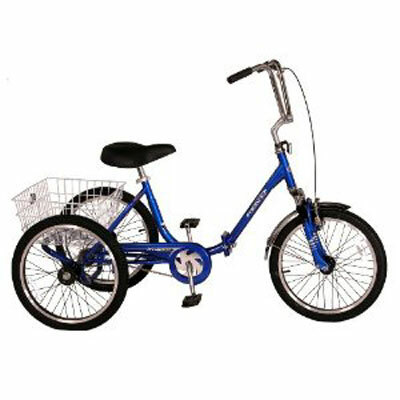 This trike is an very comfortable and stable 8 speed designed to fit the needs of almost anyone looking for a high quality easy to ride trike. With 8 speeds, it offers many of the benefits of a bicycle but the stability of an additional wheel on the road. 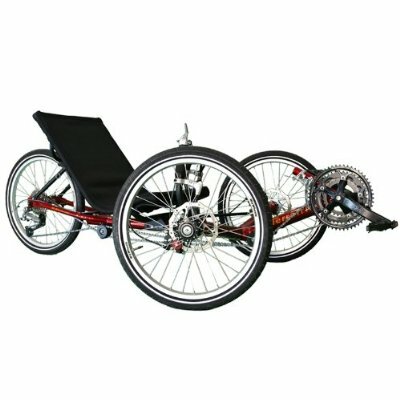 The Rover has been designed with a higher seat than a traditional recumbent trike, making it easier to get on and off the vehicle as well as be safer by offering higher visibiility. 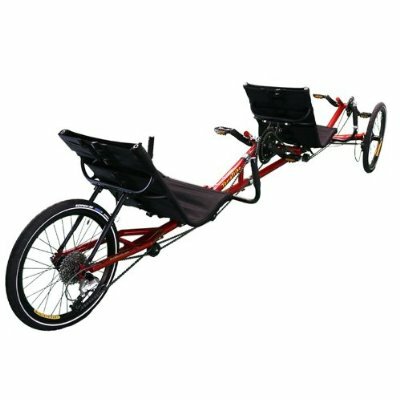 It can easily be converted to a tandem trike as well. You can look at the excellent reviews and purchase this on Amazon here. With 27 gears and a chromoly steel frame, this trike is perfect for touring. Pack your tent and camping gear in an optional side pocket. 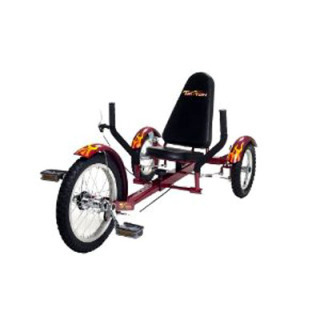 You can see a variety of trikes available here. Be inseparable! This lovely Tandem allows one or both of you to pedal, so if you get tired, there's always him. The frame separates into two pieces for transport. Article originally published March 2010. Revised and republished January 2015. Human-Tested Nanobot Delivers New Cancer Therapy With Success! Thanks for linking to our glossary! Glad you found it a worthwhile resource. I was surprised, but happy, to find your site. It's very useful to know the lingo!